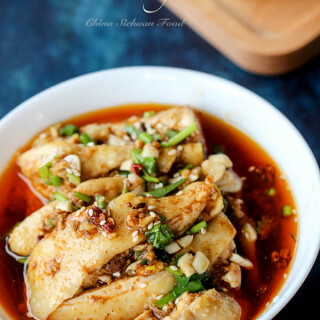 Hunan Donan chicken is a spicy and savory chicken recipe which is quite popular in the middle part of China. I get some feedback concerning about Hunan Chicken because it is a quite popular Chinese-American dish. 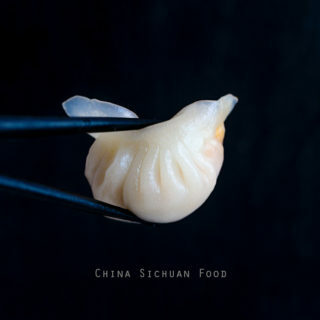 I further consider about this suggestion and decide to make a collection of famous Chinese chicken recipes. 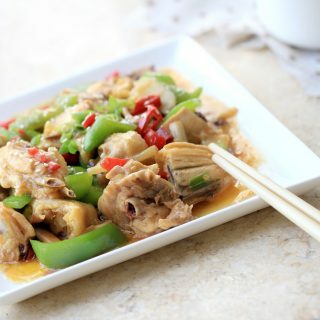 Hunan chicken is for today and next week, I will introduce Xinjiang braised chicken with potatoes also named as big plate chicken after returning from Yunan travel. The recipe I introduced today is a real Chinese version but you can make some adjustment for example adding some of your favorite vegetables. But the basic steps and seasonings should be the same. 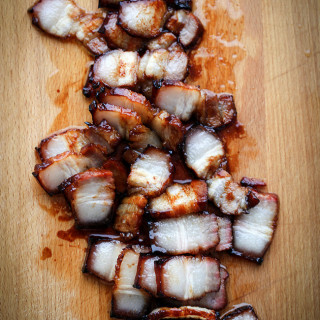 My husband comes from Hubei province where Hunan cuisine is quite popular. I have learned lots of yummy Hunan cuisine from my mother in law. This famous Donan chicken is among one of them. 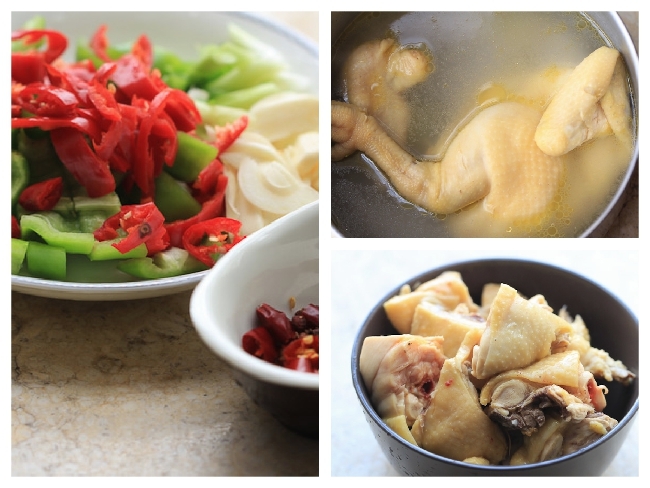 Comparing with Sichuan mala chicken, more seasonings are used in Hunan chicken. 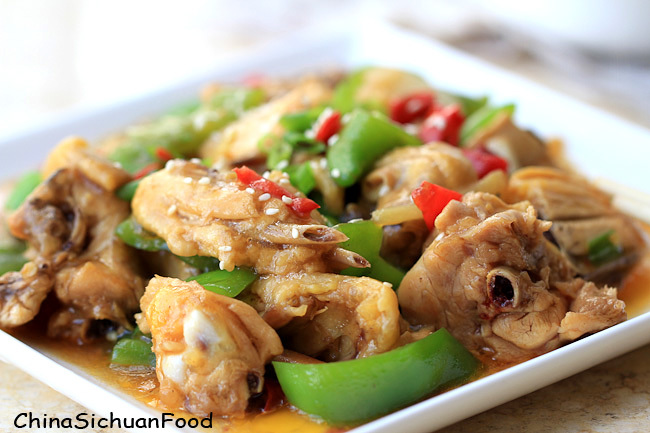 For example, usually larger amount of dried peppers and Sichuan peppercorn are used in Sichuan chicken. 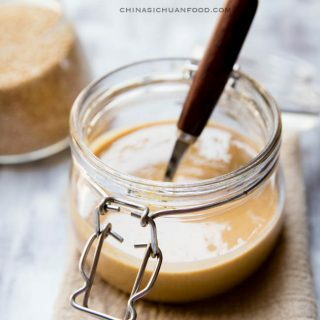 However soy sauce, rice vinegar and cooking wine, cornstarch are used in the stir-fry process, which gives Hunan chicken a more compound taste. This is a lighter version with the amount of spices reduced considering about the weather issue. For the chicken, I recommend using younger hen and boil as a whole firstly in order to keep the original taste. 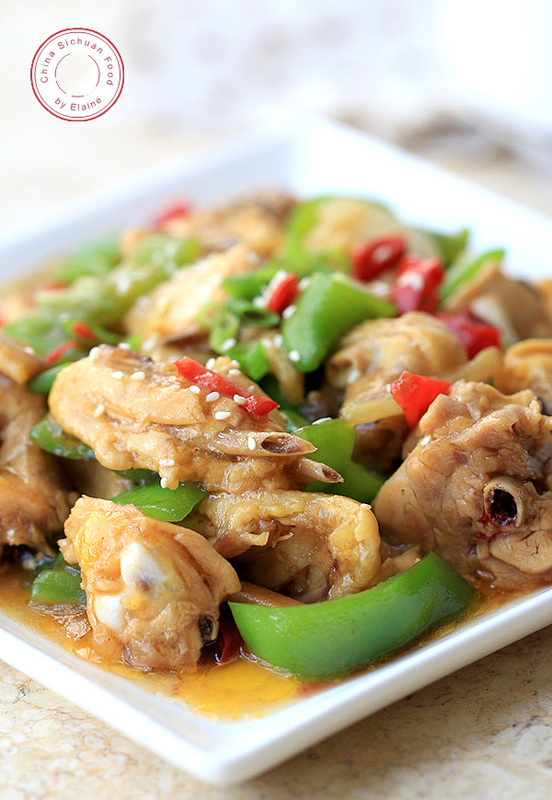 savory Chinese Hunan chicken is much easier but the same yummy as many other famous Chicken recipes. Wash the hen in running water and then rinse in boiling water for around 2 minutes. Transfer the chicken out and then get some fresh and clean water in a pot (just cover the chicken); bring all the content to a boiling and continue cooking for 8 minutes (the chicken should be 80% cooked). Transfer the chicken out, cool down and cut into small chunks. Cut fresh peppers into small pieces. Mix the cornstarch with water to make the water starch. Heat up cooking oil in wok; add dried red pepper sections, Sichuan peppercorns whole seeds to stir-fry for around 1 minute. And then add garlic, ginger and white part of spring onion to stir-fry until aroma. Add chicken chunks and pepper pieces in. 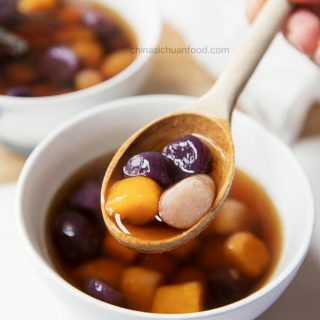 Pour in cooking wine, vinegar, sugar and soy sauce. Mix well. Add around 1 cup of chicken stock in wok and simmer the chicken for around 3 minutes. Pour the water starch and several drops of sesame oil in. Mix well and garnish some chopped spring onion and roasted sesame seed before serving. 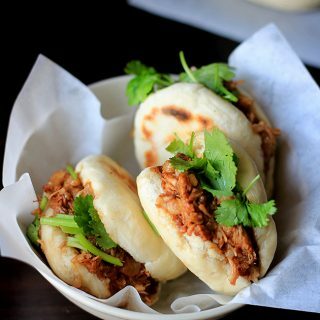 We do not need too much cornstarch for this dish. 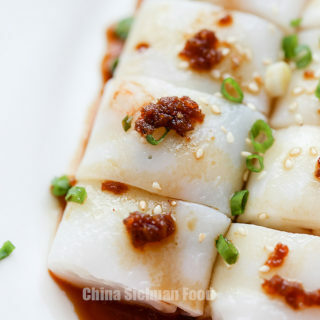 Hunan cuisine is spicier than Sichuan cuisine. I love spicy food. 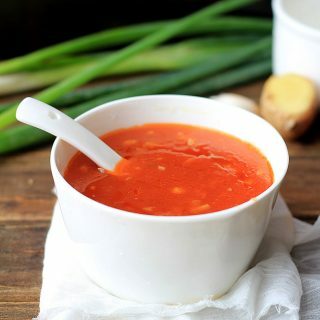 My tonight dinner will be Spicy Garlic Ribs-Braised Version and Healthy Pork Soup with Radish and Corn, since I have all the ingredients in the frig. 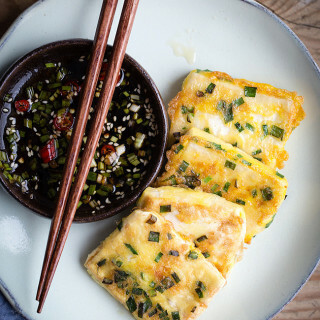 This recipe will be my tomorrow dinner. I am your big fan. Could you tell me the interval time of posting recipes so I can follow you? I am so glad to have you as a companion. I plan to post twice a week around Tuesday and Friday. But I cannot promise for the following two weeks because I will be travelling in Yunnan province. Glad to have your comment. You are so sweet! I made this dish yesterday. It was delicious. I thought 1 teaspoon salt might be too much, so I only add 1/2 teaspoon salt plus adding some broccoli. My husband thought 1 teaspoon Sichuan peppercorn was too much and over powered the food, so I will reduce the amount Sichuan peppercorn next time; I like Sichuan peppercorn though. I used green Sichuan peppercorn instead. Thanks for the feedback. If broccoli is added in this dish, I think I agree with your husband’s idea about reducing the amount of Sichuan peppercorn to make the whole dish lighter. Are you using fresh ones or dried ones? Personally I love green peppercorn very much. I added 青花椒 in this dish. Honestly, the spicy garlic chicken I made was better than this one, this one is good taste though. I am not sure if it is the problem of my adjustment. I doubled the recipe, added two teaspoons green sichuan peppercorn instead, recduced salt to half teaspoon, added one bag of store-bought frozen broccoli. I guess two teaspoons of Sichuan peppercorn is too much! Next time you can try to make a version without broccoli. Personal I think the taste of broccoli and strong peppercorn taste are not good match. 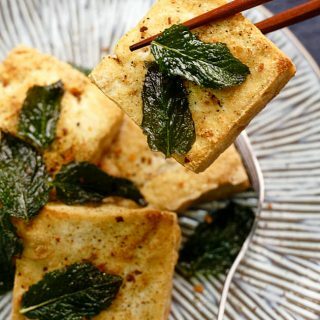 You can double the recipe but use one teaspoon of peppercorn because dried green peppercorns taste stronger than dried pink or red peppercorns. Or you can skip peppercorn for a try. I used dried sichan peppercorns. I love anything spicy and this Donan chicken sounds really good. I love the gingery flavor that comes in the spicy kick with the chicken. Lovely with a bowl of rice, right? Yes, Holly. This is my husbands’ rice killer. In deed Maggie, this dish is not complex. Hope you like it. I do not understand, are we talking about bell pepper? I use all of the three types. Long fresh green pepper and red pepper are used as side ingredient while dried chili pepper are used as an aromatic. You are use fresh peppers with some hotness or use mild bell peppers. Also the ingredient list does not contain sugar while cooking steps include it…so how much sugar roughly please? Only 1/2 teaspoon can work for this recipe.